Fujfilm FinePix SL1000 is the newest camera which has 50x optical zoom, the same as Canon PowerShot SX50 HS and Sony Cybershot HX300. The best strong point of Fujifilm is price, it is cheaper than all of other models getting the same 50x zoom, and also integrated other special features like RAW recording, coming with tilting screen and EVF. It’s available in the market in price of $449.99. SL1000 has 16 megapixel BSI CMOS sensors, and a lens with 50x optical zoom, 35 mm equivalent to 24-1,200mm. Together with the minimum focus distance is 1cm, that is ideal for objects taken in too short or too far distance. Automatic focus distance has speed of 0.2 second and it would be able to take a photo up to 10 fps with massive resolutions. Let remain optical picture to make your picture not to be dimmed. SL1000 has 16 megapixel BSI CMOS sensors, and a lens with 50x optical zoom, 35 mm equivalent to 24-1,200mm. There are six modes of automatic picture identify (SR Auto) that will find out automatically portrait, landscape, night scene, panorama shot, night portrait, or backlit portrait, and adjust setting automatically. SL1000 also provides fully manual controls and RAW recording. Other modes include motion panorama shot and advanced mode consisting of HDR. There is a 3-inch tilting LCD screen with 920k pixels and 920k-pixel electronic viewfinder (EVF), as well as a sensor with automatic eye. To activate the zoom mode, there is a lever on the side of lens. Video is recorded with quality of 1080p HD in 60fps supporting stereo. 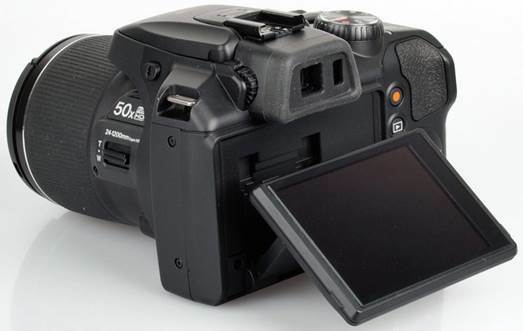 You can also take high-speed film at 480fps (240x180 pixels), 240fps (320x240 pixels) and 120 fps (640x480 pixels). SL 1000 is able to connect to HD television through HDMI. There is a 3-inch tilting LCD screen with 920k pixels and 920k-pixel electronic viewfinder (EVF), as well as a sensor with automatic eye. 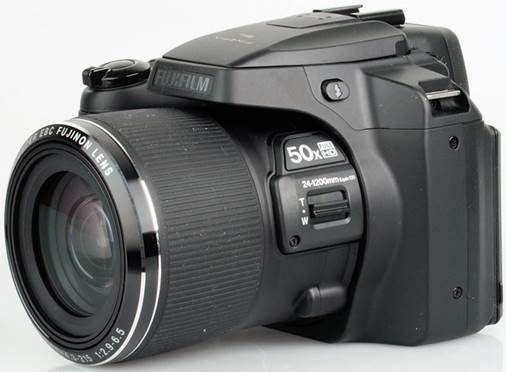 SL1000 brings look and feeling really like DSLR camera. It has an extra rubber handle and rubber spacer for the thumb on your right hand. The edge of lens is also rubber; therefore, it probably does not have any problems during holding camera. 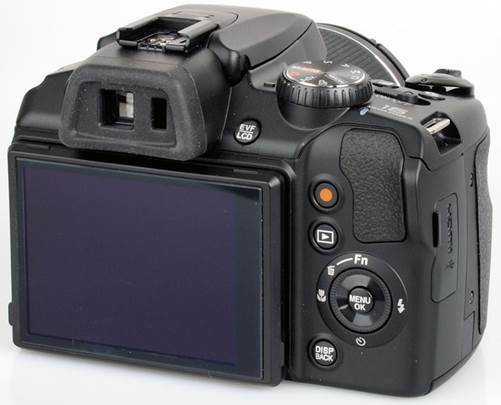 Besides, it also has a socket with cover and electronic viewfinder (EVF), optical control set which are eye-catching and are activate automatically when you hold the camera near your eyes, but there is a transmitting button between them and LCD screen. There is a dial mode on the top of camera, together with power button, zoom adjustment, continuous shooting and exposure control buttons. 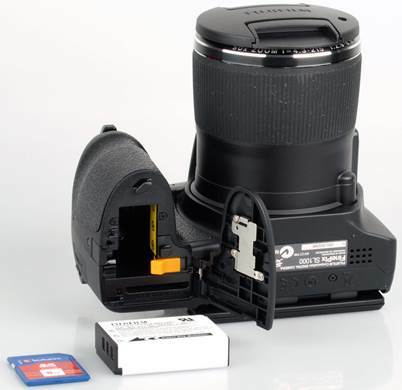 On the right-hand side, it has a button which is to strengthen flash, and one on the edge of lens has role as the second way to adjust zoom mode. In the rear, it is a wheel cycling to move to menu option. That also allows accessing quickly into flash, timing, focus and Fn modes, as well as being customized to set up ISO standard, picture size, picture quality, white balance and many more criteria. There is a dial mode on the top of camera, together with power button, zoom adjustment, continuous shooting and exposure control buttons. 3-inch LCD screen has remarkable resolutions of 920k pixels and the tilt makes it easy to shoot with camera when moved up or down. 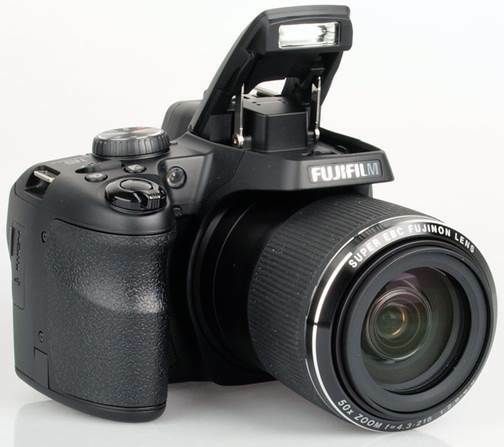 SL1000 has a menu system which is improved from previous FinePix cameras; it looks better and easy to navigate. Battery life is up to 350 pictures according to experiment of CIPA, we could take 500 shots before battery runs out. We choose the number of pictures to check its ability to meet, changing from the first shot to end respectively, together with focusing speed, and so on. We choose some pictures and then use average number to be assure that the test is correct and consistent, make it easy to compare to other cameras. Battery life is up to 350 pictures according to experiment of CIPA, we could take 500 shots before battery runs out. Continuous shooting is not available when recording in RAW mode, but all of the continuous shootings make records with full resolution.